How did a journalist end up in the EQUATOR Network team? That is a question I hear very often: what is a journalist doing working among medical doctors and statisticians? What is your role? Well, it started very early in my life. In Brazil, I have a family full of medical doctors and researchers in the health field. I could see closely the tough daily routine they had trying to treat people and to do research in a developing country. My ears were then trained since childhood to understand medical terms and jargon. For me it was a natural path to track into scientific reporting, and also a demand from the scientific community back there – and everywhere I believe. Who is going to translate health in healthy, digestible words? I felt I needed to prepare myself for the journey on helping researchers and doctors communicate their accomplishments, so I entered the first specialization course in Scientific Journalism in Brazil, in 1999, in University of Campinas (UNICAMP) a large State University. In the same year, I was the first journalist to be admitted to study in a medical school when I started my Masters at the University of São Paulo. This experience was very important in my career, because I could experience, in the field, the difficulties that epidemiologists and public health specialists face every day – it was a study on lost opportunities for measles vaccination. And I could also help a bit: the results of my research were presented to the Ministry of Health and later published. At the same time I was starting out in research, I created a consultancy on medical writing. I have been helping hundreds of researchers to write and to publish their results since then. And I could observe over the years two phenomena: first, health professionals, like physicians, physical therapists, nurses etc., do not receive any proper training on how to conduct research. In fact, most of them do not know what evidence-based health is. So they graduate without knowing how scientific knowledge is built exactly. Second: they also have no idea on how to publish the results of their research, let alone to communicate it to a broad public (patients, funders etc.). I saw that they feel often lost and unattended. That was the time when I found out about reporting guidelines and started using them in my medical writing routine. It helped me helping others. Because evidence-based health and science and health communication were always under my radar (or in my “to study list”), I entered a federal university (UNIFESP) to start my doctorate research, specifically in the Evidence-Based Health Department, that works in close collaboration with Cochrane. While contributing to Cochrane, I could learn much more about the quality required for a study to be useful. 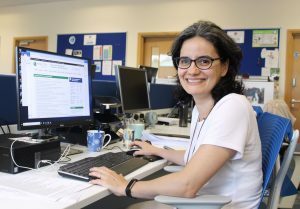 Managing the translation activities in the Brazilian Cochrane Centre was also a great opportunity for me to collaborate with stakeholders around the world. I saw that their difficulties and challenges were pretty much similar. And then… I came to UK to the EQUATOR Publication School, an experience I recommend to anyone. This ground-breaking event in my life opened a new professional opportunity: training. It showed me that you can really teach researchers on how to use the reporting guidelines and improve their papers, research projects and even theses and dissertations. I was really happy to meet the EQUATOR team and see more closely what they do. I started some teaching in two universities in São Paulo, and the feedback I had was great: “Now I understand that guidelines are a good recipe for me to use”, the attendees told me. And most of them did not know reporting guidelines existed before. When I was invited to join the EQUATOR team, I felt that this was one of those not-to-be-lost opportunities. An opportunity to learn more about guidelines and the effect they have on the quality of research publication. And an opportunity to contribute a bit with my experience assisting researchers in the publication journey. I hope I can collaborate in making the network initiatives more widely known and useful. In fact, I am here to help EQUATOR to improve the website usability (because, after many years on the road, we now have four hundred guidelines that need to be organized! ), so that researchers around the world can find them and use them – for the benefit of the patients.